SMS To Book Your WhatsApp / SMS must include your email, size of group, arrival and departure dates. 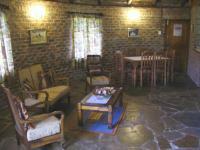 We offer a special price for Hogsback self catering accommodation for pensioners and senior citizens. This special price is only available out of season from Sunday night through to and including Thursday night. To qualify for the Hogsback self catering accommodation pensioners special you need to be 60 years of age or older and only applies to a retired person, retired couple or retired group of persons. 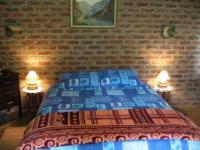 This Hogsback accommodation special can not be combined with any other special we are offering. Our free night Hogsback self catering accommodation special is book and pay for 2 nights and get the 3rd night free or book and pay for 3 nights and get the 4th night free. This Hogsback accommodation special is only available Monday through to and including Thursday nights in off peak or low season. 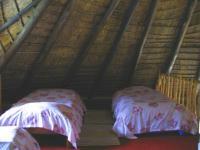 This Hogsback accommodation special can not be combined with any other special we are offering. 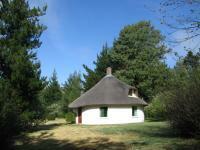 We offer Hogsback self catering accommodation. 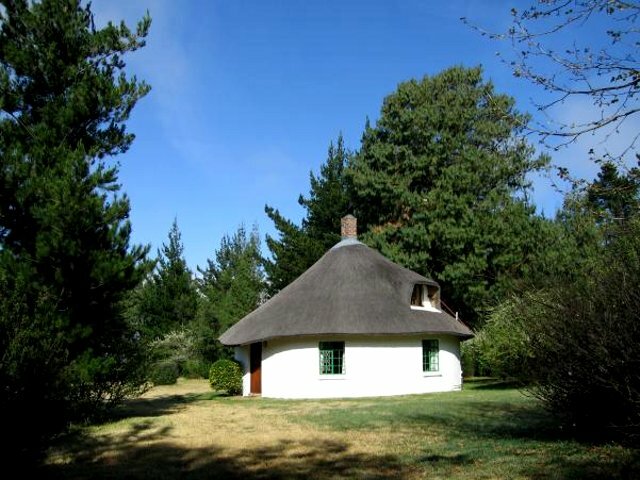 Lothlorien Cottage is one of the most charming thatched self catering cottages in Hogsback and is ideal for a Hogsback weekend escape, a Hogsback family holiday or even a Hogsback group of friends holiday. Lothlorien Cottage is a large double storey cottage which comfortably sleeps up to 7 guests and is situated on a spacious two hectre plot of land in the midst of a beautiful private orchard of trees ensuring complete privacy and serenity. Parking space for up to 3 vehicles is located on our large grounds immediately next to the cottage and with Lothlorien Cottage being situated in a cul de sac and with the cottage itself not visible from the street only adds to the privacy of our self catering accommodation in Hogsback. Our Hogsback self catering accommodation is very popular with many of our previous guests with several guests returning every year to enjoy the tranquillity our accommodation provides. Lothlorien Cottage is an ideal romantic Hogsback getaway for honeymooners and couples, families or groups wishing to escape to the refreshing and magical atmosphere of the mountains in Hogsback. From Lothlorien Cottage you can enjoy the magnificant views of the Hogsback Mountains and the Thyume Valley. During the winter months the Hogsback Mountain peaks are regularly snow capped and Lothlorien Cottage and the Hogsback village regularly experience snow falls. Hogsback has stunning mountain scenery with the three Hogsback mountain peaks that resemble the bristles on a hog's back after which Hogsback has been named. Tor Doone mountain in Hogsback provides a picturesque backdrop to the Hogsback village. The mystical indigenous Hogsback forests with its many waterfalls and clear streams, beautiful walks and hiking trails, you will find that most activities in and around Hogsback are related to experiencing the outdoors in one of the most beautiful parts of South Africa. During your stay in our Hogsback self catering accommodation in Lothlorien Cottage you will have exclusive use of our private cottage and the large private grounds. Parking for up to 3 vehicles next to cottage out of sight of the street. Cottage sleeps 1 to 7 (children are welcome). Double bedroom with queen size bed (ground floor). Bedding (linnen, duvets, blankets and pillows) are provided for first 6 guests which should keep you cozy especially during the Winter when snow may fall. Please bring own bedding for the 7th guest. Four single beds upstairs on an open plan mezzanine floor. One pair of beds can be moved together. A large sofa in the lounge can comfortably sleep an adult (the 7th guest). Lounge is spacious with comfortable couches, easy chairs and a coffee table. Dining area has a large dining table that comfortably seats 6. Collection of family games, puzzles and a selection of books and magazines provided. Large cozy fireplace (JetMaster) in lounge area. 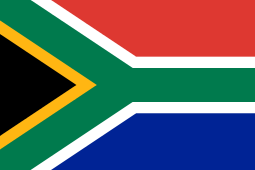 TV / Satellite TV available in lounge with variety of channels including SABC 1, 2, 3, E, ASTV (Afrikaans), a 24 hour movie channel and kids channels. DVD player with USB port which can also play movies from a USB memory stick. 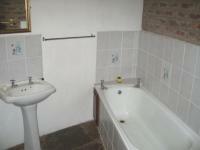 Bathroom with a large shower, bath, basin and toilet (ground floor). There is a large mirror above the hand basin. Large electric geyser for plenty of hot water. Towels are provided for first 6 guests. Please bring own towel for 7th guest. Braai / barbeque area near cottage that is fully lit at night by a switch in the cottage. It also has a very large table with seating for braais under the stars on warm Summer nights. Lothlorien Cottage in Hogsback which provides Hogsback self catering accommodation has wheelchair friendly features and this information is provided to help you decide if our Hogsback self catering accommodation is suitable for your holiday if you require a wheelchair or are mobility impaired. The ground floor of Lothlorien Cottage in Hogsback is level with an open plan kitchen, lounge with fire place and dining area. There is plenty space to move around. There is level access from the lounge and dining area to the master bedroom and bathroom. Our Hogsback self catering accommodation has a large bathroom with both a bath and seperate shower on opposite sides of the bathroom. The large bathroom has plenty of space to move around and is located on the ground floor. The large shower is big enough for 2 people if you need assistance and is suitable for sitting and showering (bring your own shower chair with you if required). The master bedroom is on the ground floor next to the front door with direct level access to the open plan kitchen, lounge / dining area and bathroom. 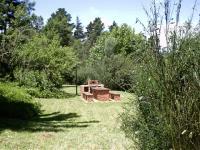 The grounds of Lothlorien Cottage in Hogsback are mostly fairly level and should be navigable for a wheelchair user. Access to the outside braai / BBQ area and outside seating area can be reached by a wheelchair. The only place on the ground floor where there is a couple of small steps is at front door when entering the cottage and you may need assistance for these 2 steps or you may wish to bring a small ramp with you if you have one. Please note that the cottage is not specially adapated but does benefit by having the wheelchair friendly features described above.